Add color and fun to your next event with Premo Designs! 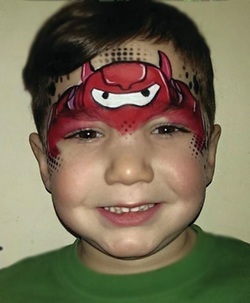 Face paint and body art is fun for all ages and is a great addition to any party or event. From decorative eye designs to full face transformations; we create high quality designs that impress! If you are looking for entertainment for an older group... check out our airbrushing services, featuring realistic tattoo styles. We also feature an open-air photo booth, which is great for all ages... Grab a prop and jump in the fun! We are now offering private party packages﻿. Let us help make your next event a colorful success! Face and body art is not just for kids! While we are primarily booked at children events we also paint and airbrush at teen parties, adult parties, baby showers, weddings and more. We use only cosmetic grade supplies that are FDA compliant and we are professionally insured. See our new private party packages, they bring a lot of entertainment at an affordable price! Contact Premo Designs today to add color and fun to your next event! We have teamed up with some of our favorite twisters to offer 1 hour and 2 hour party packages! We can do both services at the same time, overlap, or back to back depending on your event needs. 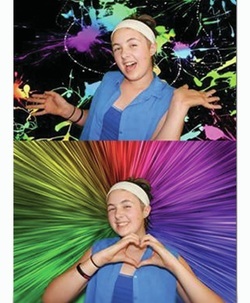 Custom made photo templates, fun props, sequin or green screen backdrop... all the fun with only a one hour minimum! Lots of fun and a great keepsake for you and your guests. We are excited to announce we have also teamed up with Caricatures by Mark! Personalized drawings of your guest they can take home as a keepsake and memory of your event. Summer Birthday? Teen Party? 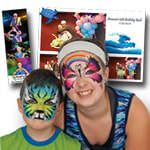 Have an Airbrushed party! Consider having us airbrush for your teen events or during the summer-time events and pool parties. We use waterproof ink, which is specifically made for face and body art. 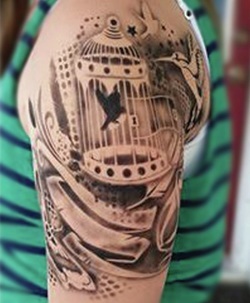 We also feature realistic tattoo like designs! 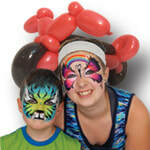 Reserve your Airbrush Party Today! Here at Premo Designs we strive for perfection! We are constantly practicing and working to improve what we can do for our customers. 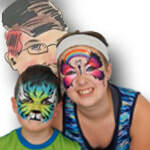 When we opened in 2013 we offered only face painting, since then we have grown to offer Airbrushing, Balloon Twisting, DJ, Bounce Houses, Caricatures, and an open-air Photo Booth. We want to make your event a fun filled experience! Our packages bring color and fun to your event at an affordable price! When you need more than what we offer, we will work with other local talents to find what you need; you don't need to go looking - let us do the work! 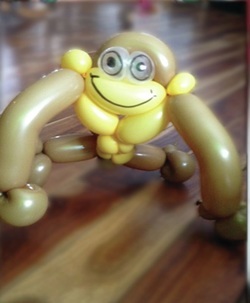 We work with Characters, Magicians, Balloon Decor and more... we even know a great Party Planner!